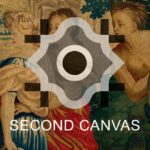 Created by the Museum of Applied Arts Budapest and Madpixel, Second Canvas Museum of Applied Arts Budapest app is your tool for exploring the museum's art collections in super high resolution, like never before. Created by the Museum of Applied Arts Budapest and Madpixel, Second Canvas Museum of Applied Arts Budapest app is your tool for exploring the museum’s art collections in super high resolution, like never before. Created by Museum Applied Arts of Budapest and Madpixel, SC Museum AppliedArts Budapest is an app that showcases a selection of the Textile and Costume Collection. Items in the collection are mainly from Europe, and some from overseas, representing a wide range of techniques and periods of textile art. Complementing the textiles themselves is a historical collection of equipment used to make them. Super-zoom to explore the works with the best possible quality, to the extent of being able to see the brushstrokes and craquelure of the painting, thanks to the Gigapixel resolution. Discover the incredible details and the stories behind them, told by the Museum team: characters, symbols, the technique or style of the artist. Share your own stories on social media, using the details of your choice. Download to your device the details of the works and their associated stories to have them with you even when you’re not connected or are in airplane mode. Available in Hungarian and English.